As Australia's largest theme park, Dreamworld offers over 40 rides--including five roller coasters--a mix of activities, and wildlife exhibits. Check out the Ocean Parade, DreamWorks Experience, and Gold Rush Country attractions. Take a giant plunge from the Tower of Terror II and scream aboard Buzzsaw, the highest inversion ride in the Southern Hemisphere. 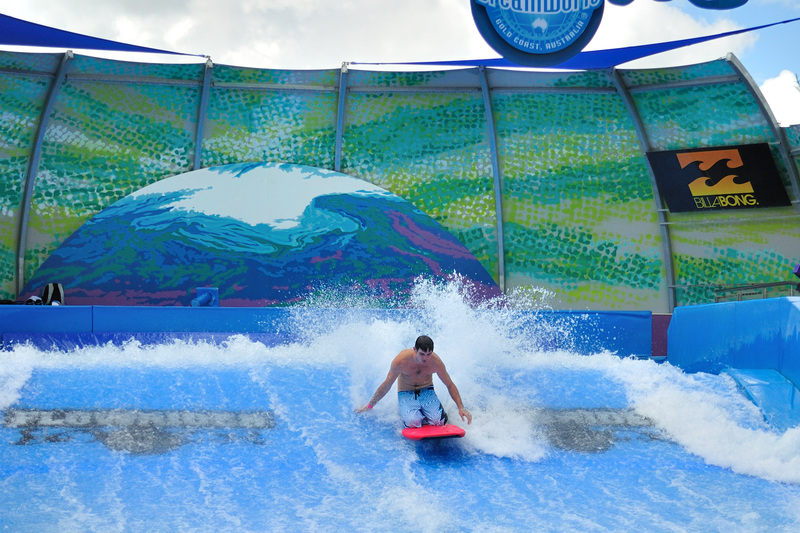 Enjoy Dreamworks' animations and surf aboard a stationary wave in the FlowRider pool. Wildlife areas contain more than 500 native animals plus Bengal and Sumatran tigers. Our Gold Coast online trip itinerary maker makes visiting Dreamworld and other Gold Coast attractions simple, and helps you make a travel plan personal to you. Not the experience I was expecting from the "World of Dreams". 4 of the rides were shut on the day! Having known this we still paid for entry (which is pretty ridiculously priced). However, once inside, numerous rides were being constantly shut due to technical issues. While this is necessary for the safety of the guests, it made for an overall terrible experience. We would line up for a ride, only to reach the front of the queue and be asked to return at a later time. Upon returning at a later time, the rides were still dysfunctional. Paid almost $100 to walk around and go on simple, "child-like" rides. The atmosphere doesn't feel like that of a family packed theme park at all. The entertainment is cheap, compared to the likes of Movie World, and the streets are full of dull vibes as you walk around the desolate park. Food and drinks, as expected, were highly overpriced. Overall an experience I would rather not dream about having again. Dreamworld is a great park. The staff are beyond friendly, took the time with our kids, and were entertaining and engaged. Food and souvenirs were very reasonably priced considering we were in a theme park. The photo pass is an excellent idea, I would recommend looking for specials where it is included. We have had three days of fantastic fun, and have heaps of souvenir photos for the kids to remember their experience. There are rides and slides suitable for all ages. We will be back.